I carry a card in my wallet of a statement by Charles Swindoll, the great theologian and scholar, titled Attitude. I have carried it with me for over 20 years and refer to it often as a reminder of the importance of attitude in my life. Attitude is created by your thoughts, feelings and actions. Your mind controls feelings and decides whether these feelings will be positive or negative through your thoughts. Your body then follows these thoughts through actions and behaviors. It sounds simplistic because it is. Through our thoughts, we create an attitude. This attitude is expressed based on how we internalize ideas. Our mind and body move into a new vibration of conscious awareness known as feelings. These feelings are then displayed through actions and behaviors that produce the results in our lives. Imagine feeding our minds with positive thoughts and flow through the process. We will end with positive results. Now imagine feeding our minds with negative thoughts and flow through the process. Makes sense, doesn’t it? By changing our thoughts, we can change our attitude, which will ultimately change our results. 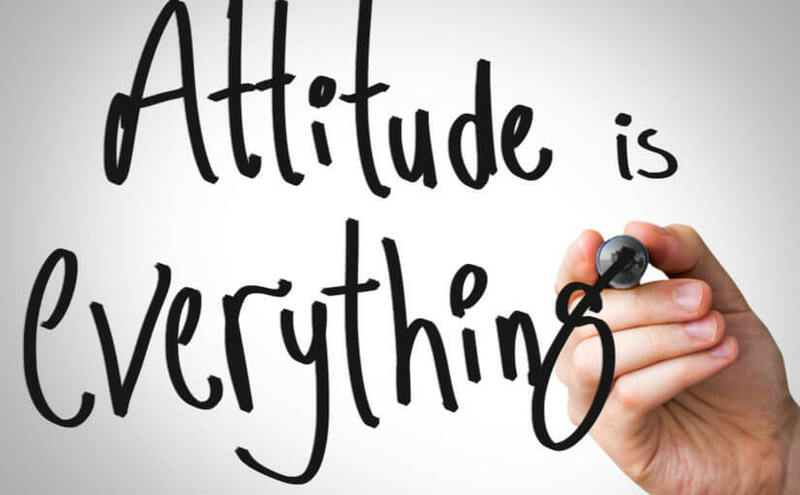 Attitude is the creative cycle that allows us to feel a certain way and then take the necessary action to a specific result. When I find myself needing to change my attitude, I start with thinking of all of the things for which I am grateful. Expressing gratitude is the one way I have found to be able to completely change my attitude. Start with the end in mind and make the decision that today is the day to change your attitude!